The U.S. Army Heritage and Education Center contracted B.R. 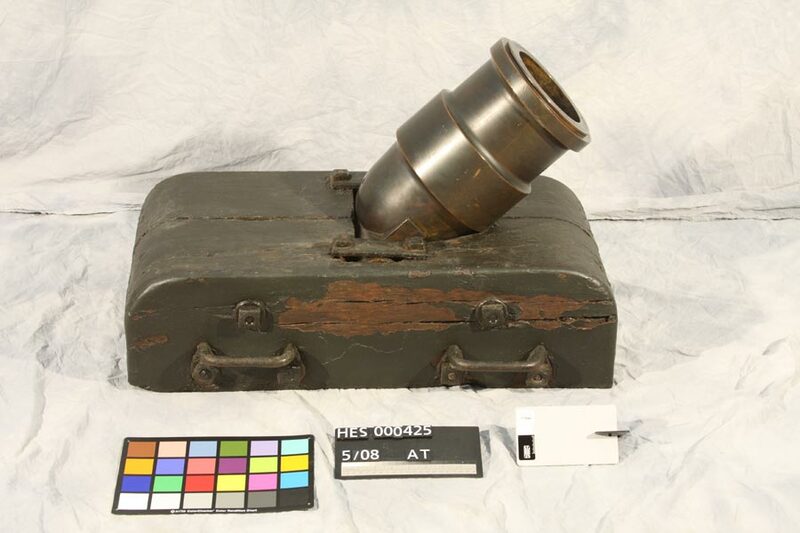 Howard to conserve their 24-pounder Coehorn Mortar. First utilized in 1692, the mortar was developed by a Dutch military officer named Baron van Manno Coehoorn and continued in service, with modifications, well into the late 19th century. The conservation of the gun tube required the removal of the deteriorated synthetic lacquer coating. The surface of the tube was then carefully heated and hot waxed using a blend of microcrystalline waxes. Once cool, the tube received an additional two applications of cold wax, buffed between and after application. Paint samples were taken from the base for microscopic cross-sectional analysis to determine the earliest paint color and long history of having been repainted. 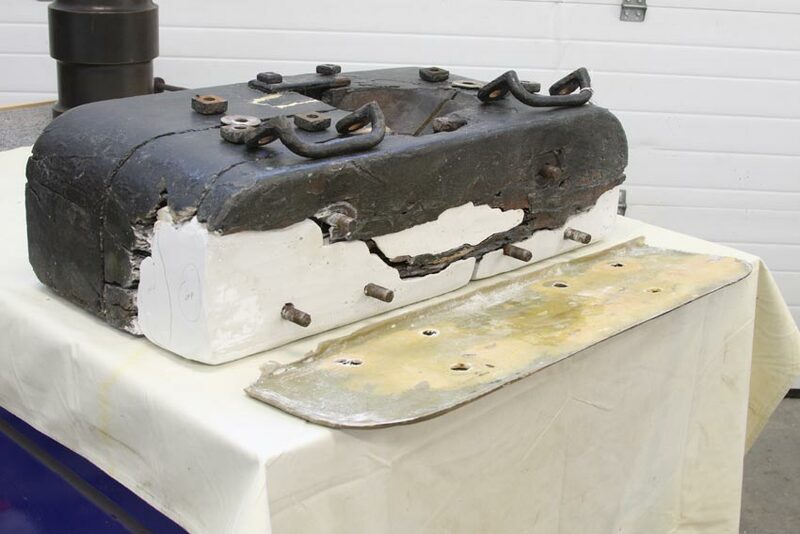 The sheet metal repairs and all iron hardware components were removed to facilitate further treatment. Areas of deteriorated wood were consolidated. Due to the weight of mortar tube it was determined that the base would require solid weight bearing inserts and fills that were separated from the original material. A mold was taken from the undamaged proper left side of the base and a panel was created which would help support the mortar and visually reintegrate the areas of loss. The interior of the cast panel was covered with a sheet of barrier material and then attached using the original hardware components. Minor cracks and seams were filled with a mixture of pigmented microcrystalline waxes. The inserts were then in-painted using a reversible palette. The tube was then reinstalled on the stabilized base. After the treatment was completed the Coehorn Mortar was packed in a custom fabricated storage crate and returned to the client.